An example of this crate in action. An array of polygons (not a texture!) are rendered on a sinusoidal terrain. Note how the polygons rise and fall with the terrain, and can be partially occluded by a bump/mountain in the way. Another example, showing the Republic of South Africa. Note the hole in the mainland part of the country (which is where South Africa borders the Kingdom of Lesotho, a separate country), and the distant Marion Islands at the bottom right. This library is designed to be easy to use with GIS data, but you can easily construct polygons manually too. This is a library for helping you draw polygons on a terrain. It uses a screen-space algorithm based on the depth and stencil buffers. Performance is affected only by the complexity of the polygons you're drawing, not the terrain it's drawn on. This library is a Rust implementation the algorithm described by Schneider & Klein (2007), titled "Efficient and Accurate Rendering of Vector Data on Virtual Landscapes". # dragging down with your mouse. Then pan around with shift+drag. # otherwise you won't get a smooth, 60 fps experience. You are using gfx to do your graphics. You use the Z-Axis for your "up" in world-space -- that is, mountains go in the positive Z direction, and valleys go in the negative Z direction. See the top-level documentation for high-level guidance on how you'd use this crate. Add support for non-OpenGL backends. Implement the z-pass algorithm described in Schneider (2007). 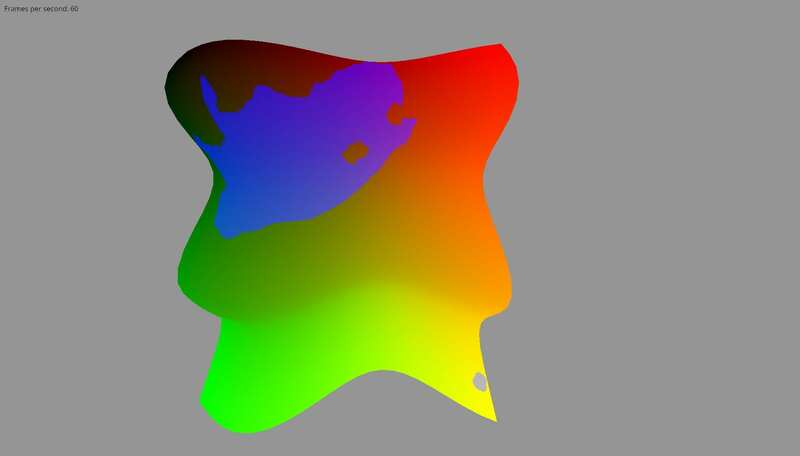 This algorithm can be slightly faster, but can only be used when the bounding box of the polygon doesn't intersect with the near plane of the view frustum. Currently, only the z-fail method, which works in all cases, is currently implemented.